NPR, WNYC and WBEZ are the podcast leaders. 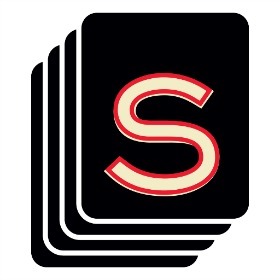 The third season of Serial launches later this month. Demonstrating the growth of podcasts, NPR, WNYC and WBEZ are hosting the first-ever podcast upfront tonight in New York City. The three outlets are the largest podcast broadcasters, with six of the 10 most downloaded podcasts of 2014 among their stable. That includes This American Life, Freakonomics Radio and, of course, Serial. This study from Pew Research credits the growing use of smartphones with the slow growth of podcasts, even as news radio hasn’t necessarily grown in listenership. But perhaps sensing that the growth will continue, Soundcloud announced that it’s opening its podcasting service to the public today. It will be free to start, but if you want to upload more than three hours of content, you’ll have to pay a small fee. Among the notable names podcasting on Soundcloud are physicist Neil deGrasse Tyson, The Guardian and CBS News. For brands, it offers an alternative to blogging, particularly if you’ve got someone who’s a compelling storyteller. If you’ve got a go-to person pitching business or making presentations, a podcast could be a natural fit. As for the upfront, it’ll be intersting to see if the podcast leaders at NPR, WBEZ and WNYC can really capitalize on them. If so, you’ll likely see more broadcasters and media outlets getting into the game. Update: WNYC and The New Yorker have announced a new one-hour weekly podcast that will be based on content from the magazine. Details from our colleagues at Fishbowl NY.